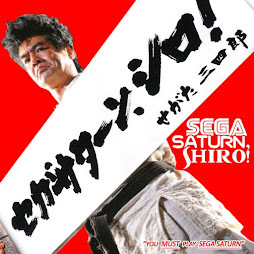 However, there are some Saturn games which stand up to comparison with some of their current peers. Sega Rally, (soon to appear in its third incarnation on PS3) is one of the finest driving games created. 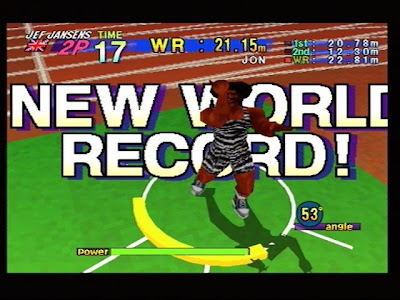 Daytona USA is not far behind. 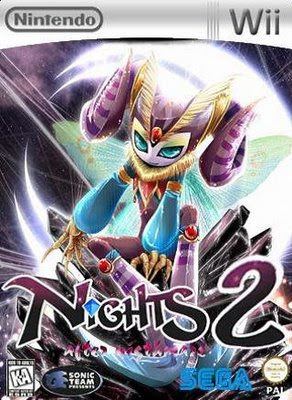 NiGHTs is such a good game that the announcement of its imminent rebirth on the Wii set the internet alight. Side scrolling 2D Beat ‘em ups like the Street Fighter Alpha series or X Men – Children Of The Atom seem as fresh today as the day they were created. 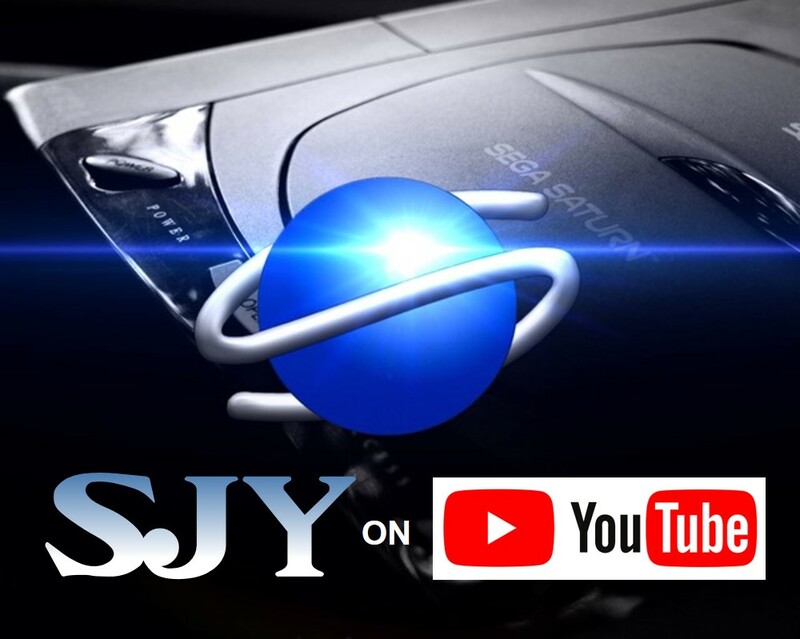 House Of The Dead, Virtua Fighter and Dead Or Alive are all franchises that are still going strong, and Saturn games which are still great fun to play, despite their aging pixellated appearance. 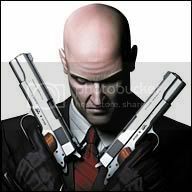 In short, these games stand the test of time, and are illustrations of the buzz one can get from Retro gaming. 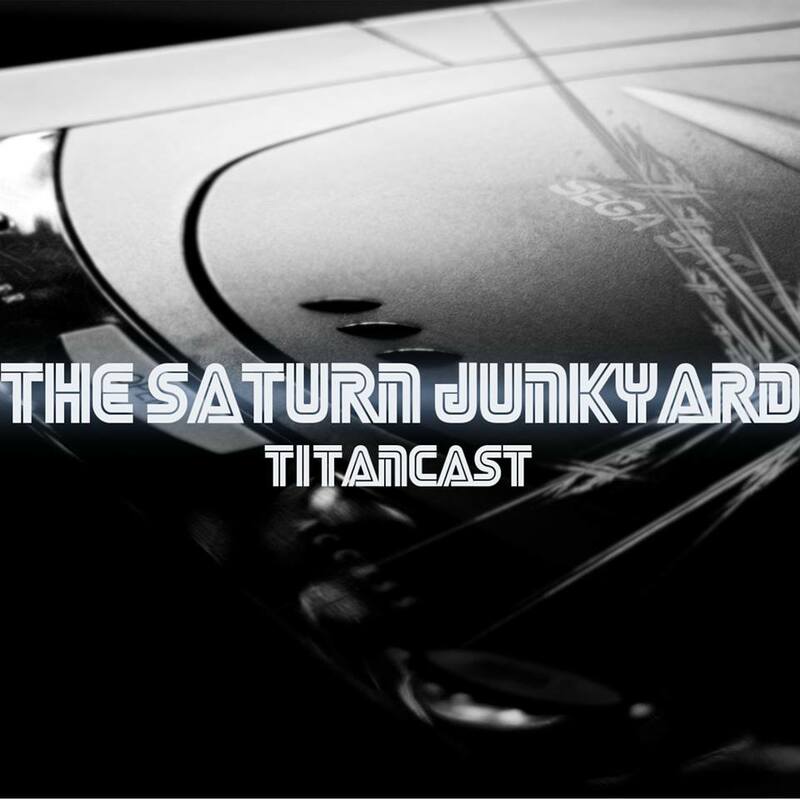 But yesterday, I discovered a new giant in the world of the Saturn. 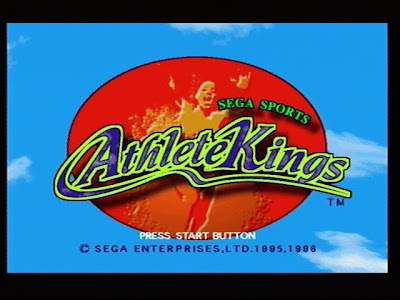 Athlete Kings! 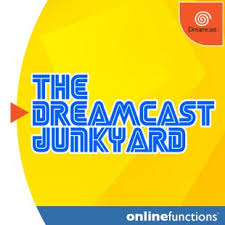 This arcade port is a particularly relevant title at the moment as it is somewhat Wii like in its appeal. 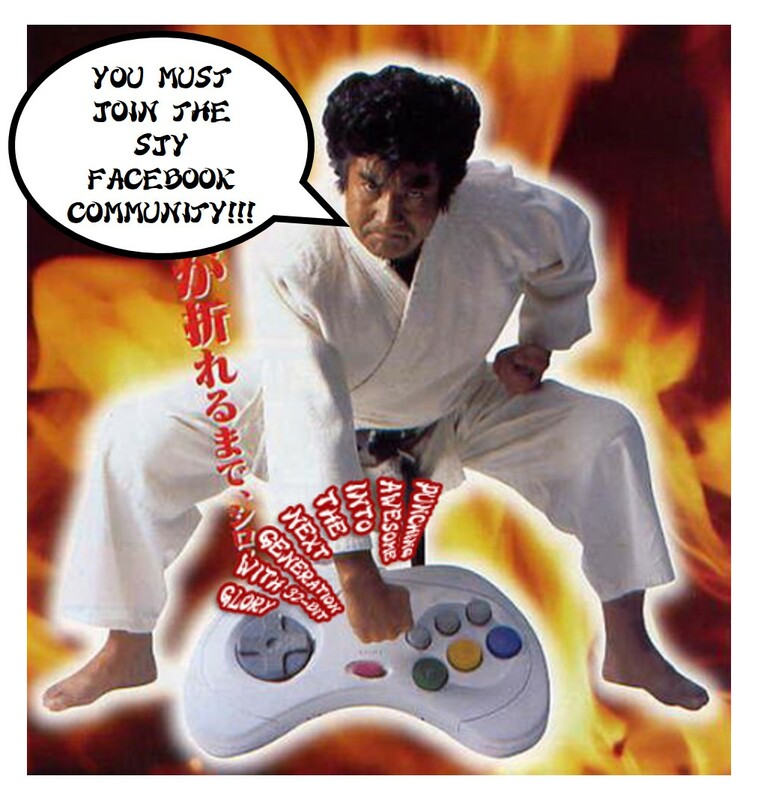 Whilst the remote is not swung about in motion sensor fashion, there is a degree of physicality to the game, that goes beyond the normal exertion employed in button mashing. hit the ‘A’ button at lightning speeds. 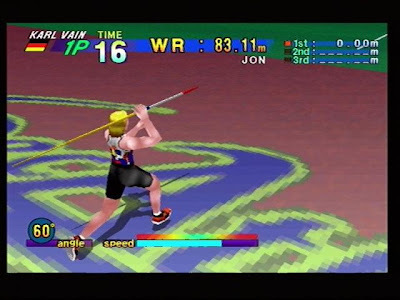 The game has four playing modes; Arcade, Decathlon, Practise and Two Player (or versus) Mode. 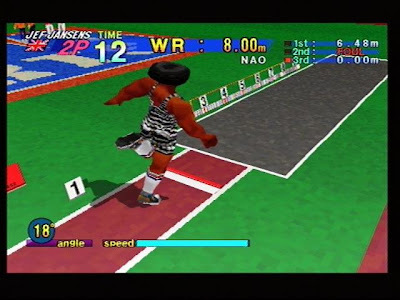 The long jump requires the same physical rigour as the 100 metre dash. This time however, hold the action button to jump. The longer you hold the button affects the angle of your jump, and therefore the distance. Step over the line before the sandpit and you’ve fouled so your timing is crucial! 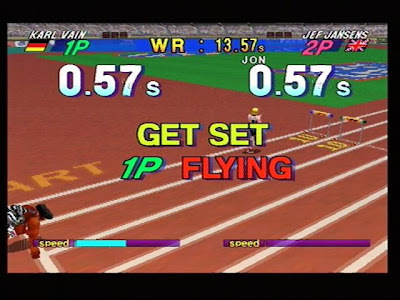 The shot put, discus, javelin, pole vault and the high jump require basically the same controls, but with the shot put and the javelin, there is a pulse on the force meter that you have to catch at its highest level for maximum distance. 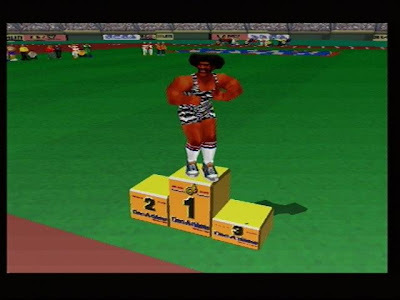 The 110m hurdles are hilarious, as the timing of pressing the action button is crucial and any mistake sees you colliding into them , time after time! 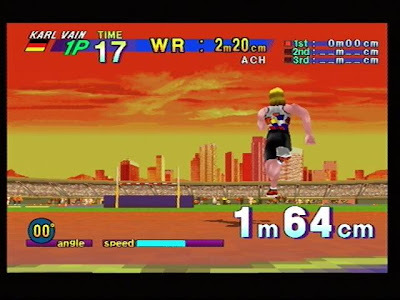 The 400m and 1500m requires the player to run, but at the same time check progress against a stamina bar. There is a brilliant element of pick up and play to the game, and non-gamers can enjoy it without any previous gaming experience. 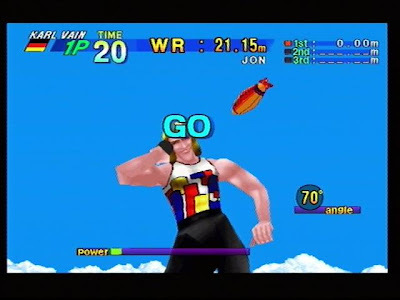 In this respect, it encompasses the spirit of the Wii and Nintendo’s desire to create ‘family oriented’ or party games. 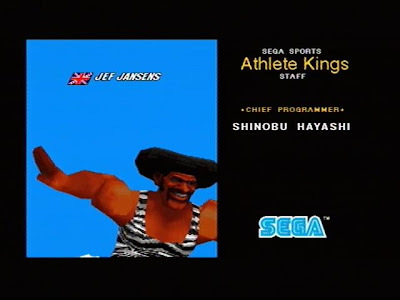 But this is Sega people, 100% Sega! 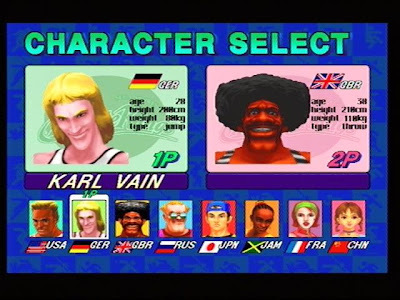 Athletes include USA’s Rick Blade, Germany’s Karl Vain, Great Britain’s hugely Afro-ed Jef Jansens, Russia’s pervy looking Aleksei Rigel, Jamaica’s Femi Kadiena, Japan’s Joe Kudou, France’s Ellen Regiani and Li Huang … All suitably stereotypical game types! 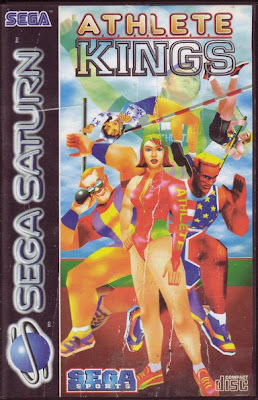 All in all a genuine Saturn legend and a great game for a party! Athlete King, Father Krishna salutes you! Overall score 9/10! Superb! So was this once a "put your quarters in to play" game???? "...in a brilliantly quirky AM3 conversion that brings steel-hard competition to the home." So yeah, I think so! Bring on the new posts! Ah Ross! Excellent to see you here! So you got that Wii yet..???? I want to hear your first impressions! this game is so amazing!